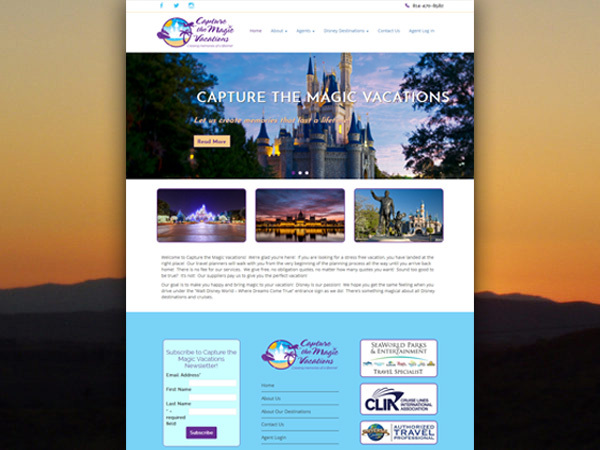 This is a WordPress website for a travel agency. The site features a custom Bootstrap theme and the client is able to add new agents. There is a back-end eCommerce store where agents can get branded accessories for their end-clients.